2012 is starting fast. 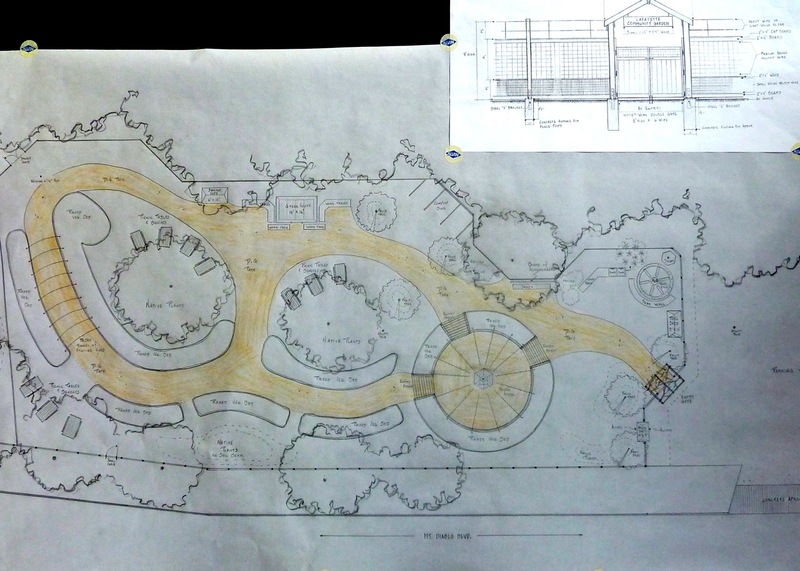 Check out the latest ideas for the design of the Lafayette Community Garden & Outdoor Learning Center below. And stay tuned for some exciting news about our new Garden manager! This entry was posted in Blog, History, Outdoor Learning Center and tagged Design. Last night our request for a building permit was approved by the City of Lafayette Planning Commission. Thanks to all our friends and supporters we now have enough money to start building our fence and garden beds. We look forward to building community as well. The next step is to formalize an agreement between the City and EBMUD. We plan to hire a garden manager in January to help coordinate our efforts. Check back here for regular updates on fundraising, garden membership and our official groundbreaking. This entry was posted in Blog, History, News & Events and tagged City of Lafayette, Community, EBMUD.